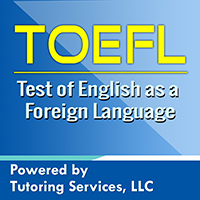 The TOEFL or Test of English as a Foreign Language certification is intended to measure non-native English language speakers’ usage and understanding according to how it is spoken, heard, written and read in a university classroom setting. This test has two types: the iBT or internet-based test and the PBT or paper-based test. 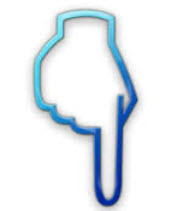 The TOEFL iBT is offered more than 50 times per year and is usually administered online and across testing sites worldwide while the TOEFL paper-based test is only offered in areas where internet testing is not available. The test comprises of four sections: Reading, Listening, Writing and Speaking. The Reading section includes the need to read 3-4 passages with 12-14 questions per passage with a time limit of 60-80 minutes. The Listening section comprise of 3-5-minute long 4-6 lectures with 6 questions for each lecture that should be completed within 60-90 minutes and 2-3 conversations, each are 3 minutes long with 5 questions per conversation which should be completed within 60-90 minutes. The Speaking section has 2 Independent Speaking tasks that require test takers to deliver their own ideas and opinions while the other 4 questions called Integrated Speaking tasks require test takers to utilize their English language skills. And lastly, the Writing section comprise of 2 writing tasks called an Integrated Writing Task which should be completed within 20 minutes where test takers will be writing a response to a short passage they read and short lecture they listened to while the Independent Task which should be completed within 30 minutes is an essay writing test with a given topic. This English language test is widely recognized around the globe. It is accurately measured, fair and unbiased which means the scores you get are the actual scores of what you worked hard for. The Test of English as a Foreign Language certification works as a credential to help you become competent and efficient wherever you are in the world. Of course, preparing for an upcoming test is also quite a challenge. So, how can you pass the TOEFL iBT and TOEFL paper-based test? First is by practicing. Practice makes perfect, as they say. Your reading, speaking, listening and writing skills should be fully developed prior to taking the test. Second, get the most recommended exam preparation resources for TOEFL to help you prepare for the test. From printed test prep guides to flashcards and even private and online tutors, there are a number of ways available to help you through the dreaded process. Get your preferred exam preparation resources for TOEFL today! Note before visiting this link that we recommend here, definitely review other study guide materials that we share with you on this site. Compare prices and select the best TOEFL exam text-books or sell your book directly on college campus to other students. Powered By Tutoring Services, LLC to help you save money on your education! Use these books to get into college and prepare for the cheapest price. 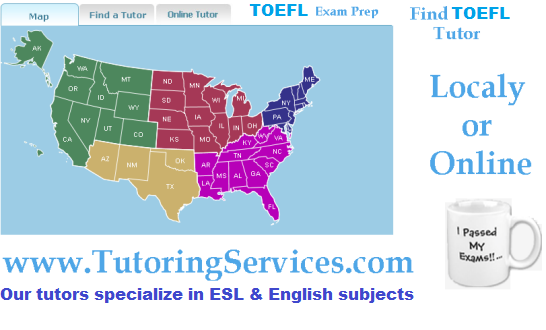 Trying to get into college can't seem to do well on your TOEFL Exam, Why not get a tutor? How to Study for this exam on your own if tutor is too expnsive for you? Or Browse below for resources that can help you study for your exam. SELECT a.id, a.book_title, a.description, a.ad_image, a.image_tag, a.isbn, a.asking_price, a.book_condition, a.book_store_url, a.sg_type, a.url_path, c.subject_id, c.subject FROM tbl_used_book as a, tbl_booksubject_description as b, tbl_level_subjects as c WHERE a.exam_code = "toefl" AND a.subject_id = b.subject_id AND a.subject_id = c.subject_id AND a.is_available = "1"